Frank Left Illinois, reasons unknown and never returned. He and Oline were married in Minnesota, migrated to Canada where they homesteaded. A daughter, Velma was born and died in infancy. 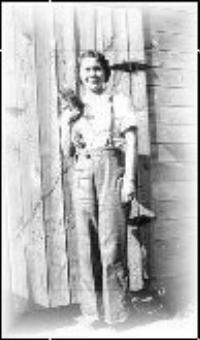 Opal was born in 1916. In the 1940's Frank & Oline moved to Vancouver, B.C. and later to Washington state. He is buried in the Evergreen-Washelli Cemetery in Seattle, Wa. Oline was born in Norway. After the death of her Mother, she and her Father Gjermund, Sister Marie and Brother Georg imigrated to America in the 1890's. This is where she met Frank and they were married and began their life together. Oline is buried beside Frank in the Evergreen-Washelli Cemetery in Seattle, Wa. 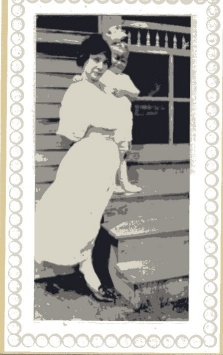 Oscar's first Wife was my G-Grandmother, Lucy McClain. They were married in 1880 and she bore him two Sons, my Granfather Frank and his older Brother, Augustus Lowell. We don't know how or when she died but it was before 1890 when Oscar married Hester Blair. I don't know where she is buried but I suspect it is in the Equality Village Cemetery with many of my ancestors including her Mother, Nancy Purcell McClain and Oscar. 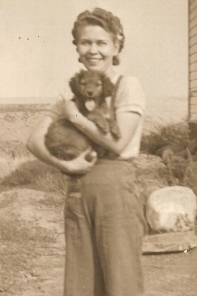 Opal Flanders, only living child of Oline and Frank was born August 12, 1916. 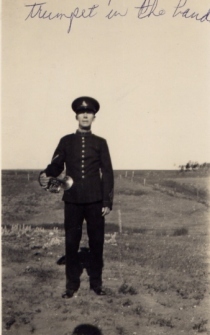 In 1940 she married my Father, Leslie Ray Hill in Sask. Canada. They were divorced and her and I followed my Grandparents to the United States. She is now almost 90 years old and the victim of Dementia which has robbed her of all he girlhood memories. She would have been so thrilled with the progress I have made finding her family.